Fashion-led supermini cars are few and far between. There’s the Mini, obviously, and arguably the Audi A1 and Alfa Romeo MiTo, as well as the Vauxhall Adam and Fiat 500, although the latter two are a little on the small side. And then there’s the Citroen DS3. Except it’s not a Citroen DS3 any more. 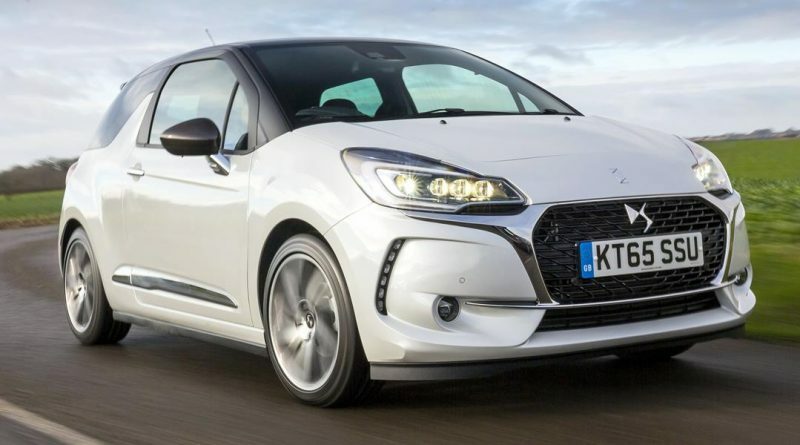 After finding 400,000 buyers around the world, the well-liked hatchback has now been replaced by the DS 3. Confused? It’s all part of a rebranding exercise that sees the more premium models in the Citroen range calved off to create a new luxury brand, DS. This, then, is the 3. From DS. Rather than just slapping on a new badge, DS has taken the opportunity to give the 3 a significant overhaul, with new styling cues, new engines, a new infotainment system and the promise of a hot-hatch performance version to come. For now though, I’m driving the 1.6-litre BlueHDi version, a turbo diesel-powered model that promises sensible performance levels with impressive economy, and at a reasonable price. So what’s changed? Aside from the name, the most obvious change is the huge grille that now adorns the front of the car, surrounded by significant lumps of chrome that DS call ‘double wings’. It’s like they’ve taken Audi’s six-sided grille and turned it up to 11, giving the 3 a huge amount of street presence. There’s certainly more bling on show than on the outgoing model, for better or worse. Thankfully, the distinctive ‘shark fin’ B-pillar remains, as well as the floating roof, giving the DS a style unlike anything else on the road. The interior gets a makeover in the transition from Citroen to DS, but the bulk of that is in tidying things up and squeezing a new seven-inch infotainment screen into the dashboard. It’s light years ahead of what went before, but it still lags behind its rivals from Audi and Mini in terms of usability – the ‘home’ button, for example, isn’t even on the screen, instead it’s a physical button mounted lower down on the centre stack. It does look good though, and it responds to the touch quickly. Equally, the navigation system is clear and accurate. DS is pushing connectivity for the future, so this obviously comes with the ubiquitous Bluetooth and USB connection options but, frustratingly, their optional Mirror Screen system – a system similar to Apple CarPlay or Android Auto that mirrors a smartphone screen – wasn’t fitted to the car. Elsewhere inside, the DS is a reasonably practical car, albeit one limited by being a three-door only model. The rear seats are just about spacious enough for adults, but getting in and out is tricky. At least there’s a grab handle to swing on as you navigate through the gap. There’s a decent boot, too, with a deep well able to hold things upright but leaving a sizeable lip to lift bags over. DS isn’t about practicality though, it’s about style. As we’ve discussed, there’s no shortage of that on the outside, but the inside is less convincing. This test model had the ‘Irresistible Paris’ option pack fitted, giving buyers a silver-grey fascia and some line drawings of the Paris skyline. It lifts the cabin, as do the chrome highlights around the cabin. However, while it’s all good to look at, it’s not so pleasing to touch, with plenty of hard plastics around the car. There’s also little storage, with not a single cup holder up front or anywhere to safely store a mobile phone. 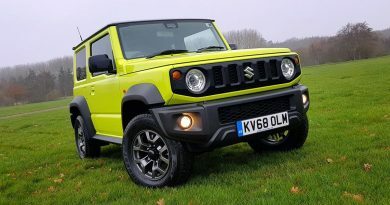 Still, there are plenty of toys to distract you from that, with even the base models getting alloy wheels, air conditioning that seven-inch infotainment system as standard. 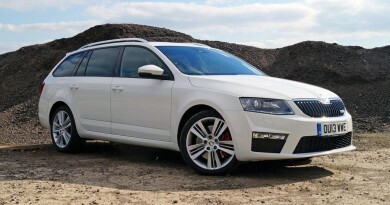 Parking sensors, sat-nav, half-Alcantara seats and 17-inch alloy wheels are added to this Prestige model. Focus on the driving and the DS 3 redeems itself further. Always a darty car, the front end that would zip from side to side when instructed, while the bodywork would settle down very quickly behind it. Nothing has changed in the transition to DS, meaning you’ll be smiling behind the wheel, at least when dashing around the countryside. The ride quality suffers a little thanks to its exuberance, but you’ll be enjoying things too much to notice. Unless you’re on a motorway for hours, then the stiff ride and road noise might be a bit tiring. The engine is enthusiastic enough to allow you to make the most of that chassis, with a 0-62mph time of well under ten seconds. 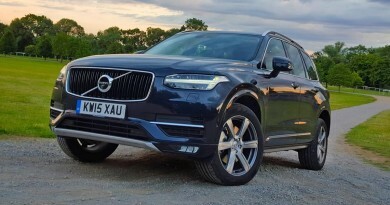 It’s refined at the same time, and very responsive for a turbocharged diesel. It sips at fuel once up to speed, too, thanks to an extremely long sixth gear. Stick with one to five and the fun returns. If you’ve read this far and think that I’m moving from good to bad and back again, you’d be right. Six years is a long time to keep a car competitive, no matter how much of a facelift you give it. The good news is that what made the DS3 such a likeable car back in 2010 remains true now – it’s fun, distinctive, stylish, great to drive and won’t cost much to run. It costs a lot to buy, though, and depreciation is rather steeper than DS might wish for, while some of the quality levels don’t cut it in the premium market these days. DS have got a lot of new cars coming in a couple of years time, and they’re desperately needed, but for now the DS 3 is a tricky car to recommend. You might fall in love with it and there’s no harm in that but, putting head before heart, there are better options out there now.